A friend of mine who lives in the city of Franklin told me about this one. 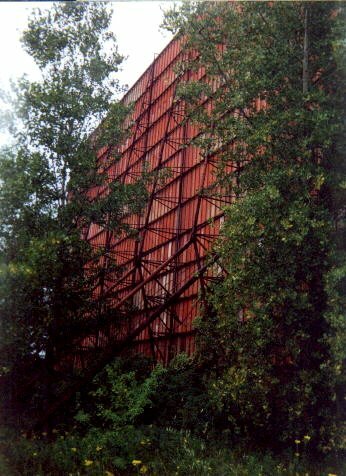 This theater has been closed for over 20 years. There's not much left except the entrance marquis and the monster screen. 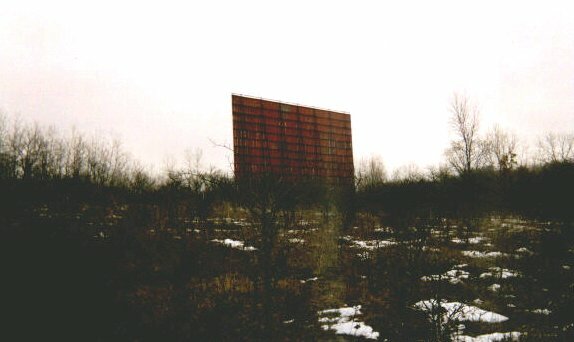 The screen is visible from Highway 100 and is one of the biggest screens I have seen. I have heard that some episodes of Happy Days were filmed here. It is surprising that a screen that big manages to survive all of the elements for better than 20 years. The entrance road appears in the Wisconsin Atlas & Gazetteer. The old marquis and the screen is visible in the background. The marquis is now gone, too. The screen is all that is standing and the car ramps are still visible. The last time I went past the old theater, there was a huge pile of dirt in the area where the ramps were. 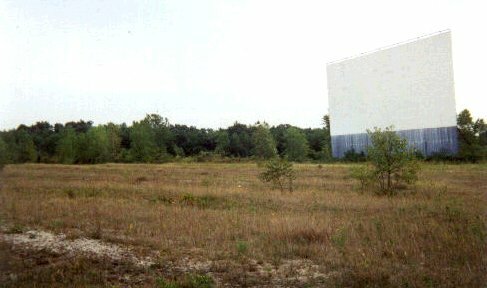 The backside of the huge Franklin 100 screen. 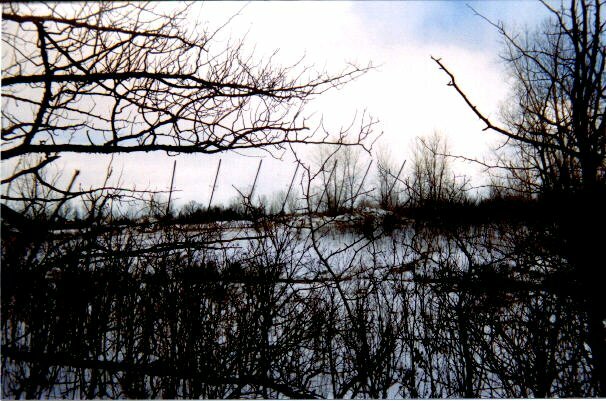 This picture was from February 1999, the last picture I have of the screen standing. 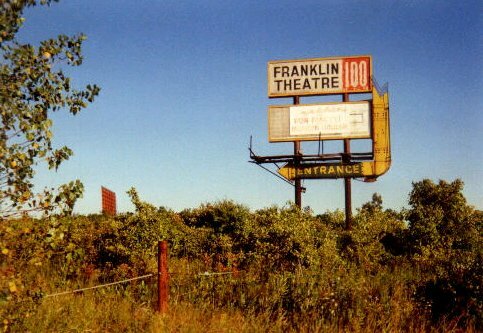 Sad update for the Franklin 100: The screen is now down as of 3/7/99. The support poles are sticking straight up into the air. The area seems to be turning into a quarry.